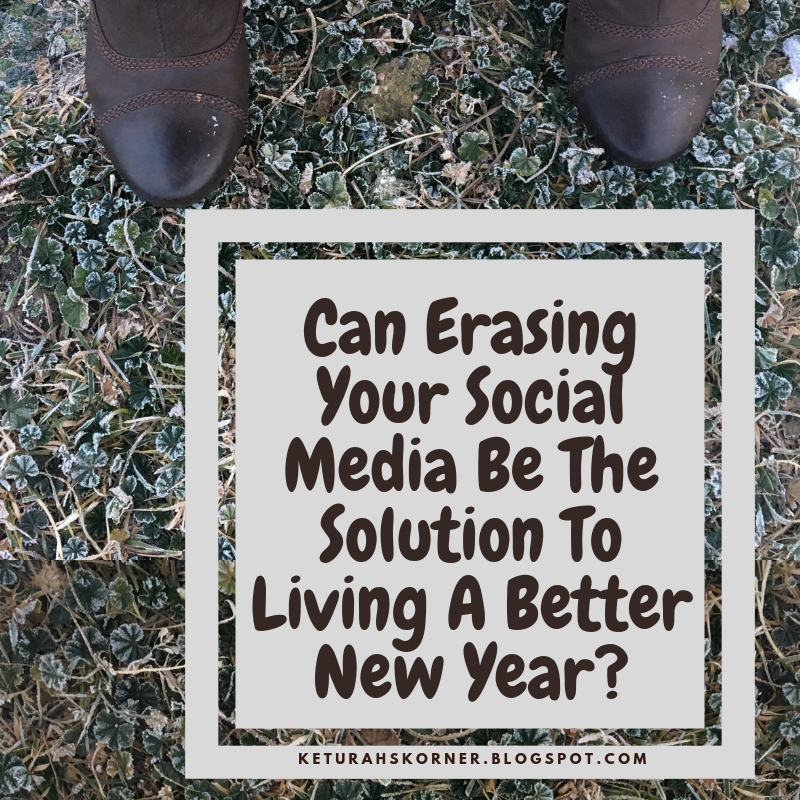 Can Erasing Your Social Media Be The Solution To Living A Better New Year? I thought about writing this post as satire, but decided to give y'all a little break from my normal upbeat resolutions-are-last-years'-garbage HAPPY NEW YEAR! posts. Instead, I want to beg all of you to not delete your social media accounts. At least not yet. You see, I love social media. But without all of you — it wouldn't be social. And online media is no fun without others to enjoy it with. I mean, if I were really that introverted I'd just stick to movies and books for my media desires. January 1, 2015, while half making a professional guess as I have no statistics available at the moment of the world deleted their FB accounts I opened mine. I had two reasons for getting a Facebook. I wanted to be able to keep in contact with all the friends I was making as I started doing a lot of traveling, and to also keep in contact with my family through pictures. I wanted to use Facebook as a platform for my blog and my writing. I've also expanded to using Twitter and Instagram for all the same reasons, though each have their own role. Twitter is great for witty lines. Instagram is spectacular at artsy pictures. On each of these social media platforms I have found a unique set of friends that make that platform special. I've never wanted to delete any of my accounts. But I have seen many others delete and reopen their accounts time and time again. I used to laugh at such people. I used to laugh more and more. And then I started asking myself, why? Sometimes I asked them why. I see everyone else's perfect lives and become discontent with my own imperfect and boring life. It is too much stress not getting enough likes. There is too much drama. I have personal issues to work through and it isn't allowing me to do that. It pulls me away from God. I can't stop wasting time arguing, scrolling, etc. I saw these answers and I'll admit I was unsympathetic at first. maybe I still am. It consumes you? Well don't be consumed, is my logical response. Are you adding the drama? Well, stop then. Working through your personal issues doesn't mean you have to make a scene by deleting Facebook. Envy is your fault, not Facebook's. I'll rest all of your minds by telling you guys that I never said any of my blunt, cruel thoughts out loud. Yeah . . . but I'll have to say that I may have implied as much without words . . . and others may have noticed those subtle hints without words. Like me rolling my eyes. Or saying, "I love Facebook and could never delete it because I use it for too many good things." People: I made a list of 100 things for New Years, and I plan to be a better person this year! Me: Why not just pick one thing and stick with that until it's a habit, then pick another thing? And why do you have to do it on January 1? Why not April 15? And August 23? People: I'm going on this intensive diet that will kill me and my fat! Me: Why not go slow . . . exercise and eat better and create a balanced lifestyle that you can maintain? Me: People are evil. And so are dogs. People: Politics make me hate, so I ignore them. Me: You chose to hate and use that hate to excuse your lack to care or be involved. People: Facebook wastes my time, so I'm deleting it. Me: No, you're not using FB as it's meant to be used. Or your time. How will deleting FB help you? I have this thing I like to say, LITTLE HABITS ACHIEVED ARE BIG GOALS MADE POSSIBLE. See, you can't expect to have a better new year unless you are willing to put in the effort. You can't expect to be taken seriously about complaining about the state our country is in when you refuse to vote and the Republican's lost by 3% because of people who say "my vote doesn't matter". You can't expect to live a life of purpose by deleting FB with the mentality that everything is a weapon when in fact it's a tool you haven't learned how to operate. Yes, Facebook is a tool not a weapon designed by the Devil. And, yes any tool can be used as a weapon. And when it is, it's your fault not the tool-weapon's fault or the Devil's fault. It would be a lie if I were to say that I've never found myself spending too much time on social media. But I can honestly say that I rarely spend too much time on there. And when I do find myself spending too much time I tell myself, "Wow, that's enough." And I think about it and decide for the next several weeks I'll only log in at these certain times when I absolutely have to. I also have rules for myself, to not get on apps when I work (unless I need to for work, like replying to my boss's fb messages or typing in a GPS address or googling how to do something I need to do at that moment that does not include how to be on Facebook and work. Some multitasking is impossible even for me). I don't believe in whining on Facebook and deleting my account if I've been spending two hours every day on there for the entire last year. No, instead I would rather find a way to use those two hours fill them up with productivity and save five minutes for Facebook to use it as I mean for myself to use it. Because, the problem isn't with Facebook wasting my time, but with me wasting my time. The solution starts with me, not with the object of my attention. The solution starts with a progressive movement, not with a stalemate. The solution is about me finding out what I need to do, not blaming something I have done. Does that mean it's wrong to delete Facebook? Absolutely not. There is definitely a time for everything. Maybe you truly have drama that can't be settled (trolls that are harassing you and threatening you). But if it's just FB arguments, then just stop arguing. Stop commenting on the type of posts or groups that cause you headaches. Or chill if you just love the debates, and keep arguing without ranting about how you hate FB because you can't help arguing with everyone. Maybe you need to delete Facebook because your habits are at the point where they need a lot of attention. Your self-control has declined to the point where a sip of FB finds you still scrolling ten hours later. Just as alcohol may not be wrong for everyone, maybe you do need to abstain from social media until you have your life under control. Maybe that's forever. And that's OK. Just make sure to fill that absence with productivity so your itching fingers don't reach to reactivate FB if it's only going to cause you harm rather than help. What about you? Do you manage your online time well — is it a tool or a distraction? And what is your solution if not a tool? Wow, Keturah. This is GREAT. I so agree, and it's such a little-heard point, the difference between a thing being inherently evil or just a tool used for evil due to our own free will. I feel that's a point the world misses most of the time! Everything God created is good, and most human creations are also good...it's a deficiency or warped-ess in our use of them that makes them "bad." Evenings are usually the main time I have time for social media, but yeah, sometimes if one isn't careful it can be hard to get other things needing done accomplished, too. This is a really good point, Keturah! I always blame it on the social media, but it really is my fault if I'm on there too much. I'll keep this in mind! Your posts are always super thought-provoking, and this one is no exception! Oh, thanks so much, Lila, for your kind words! I'm kinda the same way. I've only ever taken an Instagram break, and that was just during NaNo. And Sunday, since it's the Lord's Day, I stay off my phone pretty much all day (I do check for messages a few times, just to make sure no emergencies have come up) in order to be more focused on God and the things of His day. I've found that the best way to stop myself from scrolling through FaceBook or Instagram is to do something ELSE with that time. If I just turn my phone off, with no plans to do anything else, I'll just turn it back on and go back to scrolling. But if I turn it off, stuff it in my pocket, and get up to go do some laundry or check the water for the animals or sweep the kitchen, it's much easier. Nano really makes one have less time for a lot! I think that's the key, Julian. One must have something else to do. Otherwise, why not spend all your time scrolling? And when you have other things to do you'll find just scrolling boring anyways ;D At least that's how it is for me. I do think it's best to take breaks on Sabbath if one can, just because it's good to focus on other things. *applauds this post! * Really I don't have anything else to say, because this is perfect. Facebook itself isn't the problem; it's just a tool. And we each have to learn what using it wisely means for us. I agree with all the things you said, but also, at one time or another, I think I've thought each of the things other people said. It is DEFINITELY important to realize that the problem is me, not social media. Sometimes a break from social media can help though. You are right, sometimes in order to work on ourselves we have to take a break ;) It's all about learning to use social media correctly, just as we would with anything else we have in our life. Love, love, LOVE this post!! I agree with you wholeheartedly on ALL this. Like you, I created a FB account waaaaayyyy after all the hype had long passed (June 2015). But my purpose was to have it for my wee Etsy shop, as well as my blog, and any other misc things I might need it for. 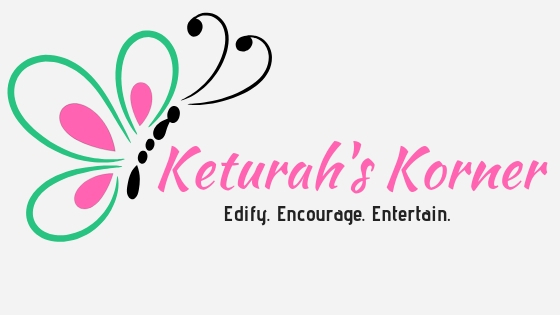 Great post, Keturah! Thanks for sharing your thoughts. That's so neat hearing your why to getting FB. Etsy is a great reason! I LOVE IG, too. SO many pretty photos. I must admit I've never been able to understand the addiction of Pinterest though -- I find it so boring, haha!! Haha. So true! I really love Twitter, but a lot of people don't like that ;D I do like Pinterest for quotes, so sometimes I go looking for those. I definitely am not for deleting social medias haha. I find them a great way to connect and make friends and also network for my blog/writing! 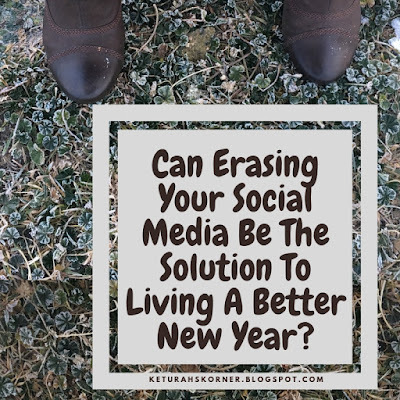 I do think some people probably do struggle with a lot of aspects about social media and hey, if it makes a person really sad, then it's ok to delete! But also there are other less-extreme options, right? !